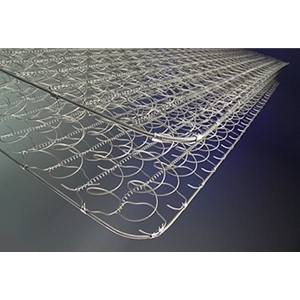 Mattresses in the Luxury Innersprings line by Sterling Sleep Systems were designed for the hospitality industry. These mattresses are engineered to keep costs of beds down for hotels, motels and other temporary residency establishments. The modular design of Sterling Sleep's hotel mattresses has won awards, both from hospitality assocations and design groups. Modular design is used in many otheer areas, such as software engineering, automotive technology, electronic devices, etc. This simplifies both design and maintenance, as well as making it more cost effective. With modular design, a hotel has to replace only a worn or damaged part of the mattress, a considerable saving over replacing the entire bed. Components are also easier to stock and store, which means that a motel does not have to wait days for delivery of a new mattress. If the facility is smaller, such as a bed & breakfast, this could be make-or-break for a week or weekend. Among other advantages of modular design are (1) quick customization for specific customers, and (2) the ability to clean the whole mattress inside and out. 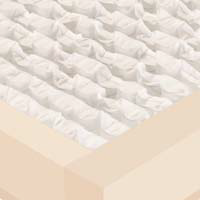 Besides the innerspring mattresses covered here, Sterling also has modular softside waterbeds which can be used by hotels as well as latex mattresses and memory foam mattresses. 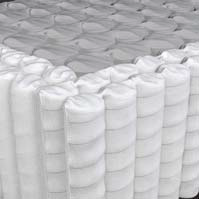 Replaceable components for Sterling Hospitality mattresses include gussets for the mattress top cover, zippered covers, foam overlays (top layers), buckets (border panels plus bottoms), and foundations. Three collections of Sterling Luxury Innerspring mattresses can be found online. One of them, Cameo Innerspring Collection, has been discontinued by Sterling, replaced by the Sterling Hospitality 5-Star Mattresses. Sterling has two current collections. Besides 5-Star, the other is the Sterling Imperial Diamond Luxury Collection. The Sterling Imperial Diamond Luxury Collection has four models listed by the company: the Hospitality Imperial 6-Diamond 675 Euro Top Innerspring Mattress, followed by the 5-Diamond 625 Pillowtop, 4-Diamond 620 Plushtop, and 3-Diamond 605 Plush Top. All of these have innerspring units of 6" high fabric-covered pocket coils made by Leggett & Platt. These units can be with foam rail enasement or with heavier-gauge coils around the perimeter. The coil count for the latter is higher. The most used cover fabric for Imperial Diamond mattresses is quilted Belgian damask with cotton as the chief or sole fiber. 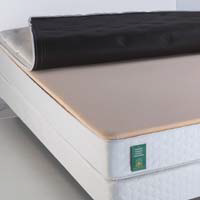 The top comfort layer can be latex or memory foam. This can be both side-by-side in a dual mattress. The Sterling Hospitality 5-Star Mattress Collection also has four models. These are Hospitality 3-Star, 4-Star, 5-Star and 6-Star. As with the Diamond Collection, the innersprings are made by Leggett & Platt. The 3-Star has 7" VertiCoil springs, while the other three models have the 8" Quantum® Edge Bolsa® pocket coils. Neither of these units requires foam encasement for edge support, since the VertiCoils (a type of offset coils) have perimeter rods, and the Quantum units have the outer soldier rows of heavy-gauge coils. The topside options for 5-Star Collection mattresses are similar to those for the Imperial Diamond models. 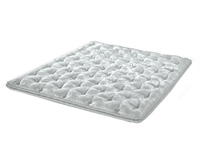 The Cameo Collection features VertiCoil spring units with foam encasement and knit tack-and-jump quilted covers. As with the current collections, these mattresses have modular design. The three models, tagged Good, Better and Best, are the 420 Cameo Plush Top, 425 Cameo Pillow Top, and 460 Cameo Euro Top. Sold mostly to hospitality firms, these mattresses are also avilable to the public through select dealers. They carry 10-year warranties.